EZ-Pour Hi-Flo replacement spout for gas cans manufactured prior to January 1, 2009. Large opening, fast filling. 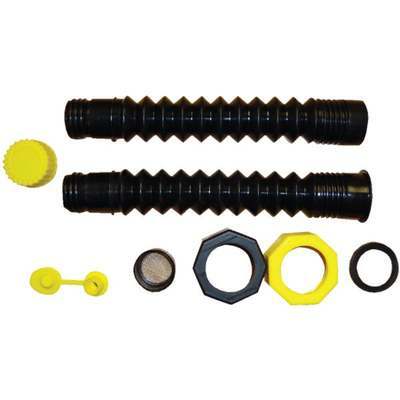 Includes 2 base caps with different threads, 1/2" replacement push in vent, 8" spout, and 8" spout extension. Due to (CARB) California Air Resources Board regulations, this product is banned for sale in the following states: CA, CT, DC, DE, MA, ME, MD, NH, NJ, NY, OH, and VA.